The attorneys at Simon Greenstone Panatier are active supporters of the Dallas Volunteer Attorney Program (DVAP). DVAP, in conjunction with Legal Aid of Northwest Texas, hosts Legal Clinics all over Dallas to help provide legal services to those who cannot afford legal help. Through this program, SGP sends attorneys and staff to help run the East Dallas Legal Clinic on various nights during the year. These Clinics assist clients with a broad range of legal issues. The links below provide more information about DVAP and the clinics. SGP has provided a link to TexasLawHelp.org, a program of the Texas Legal Services Center (TLSC). TLSC is a non-profit law office founded in 1977 whose mission is to improve the quality of advocacy and expand availability of legal services for low-income Texans. Some of our lawyers are also intimately involved with the Human Rights Initiative of North Texas. They assist and help represent abused, abandoned and neglected children and victims of domestic violence and human trafficking from foreign countries obtain special status in the United States to escape the horrors of their home countries. SGP represents individuals whose lives have been shattered as a result of asbestos related diseases, including Mesothelioma. The attorneys and research staff are constantly looking for the best organizations to support to help victims of this horrible disease and to help find a cure. One of the organizations we support is the Pacific Lung and Blood Institute. As part of this organization the Pacific Meso Center is one of the most innovative research and treatment organizations in the world for patients with mesothelioma. SGP is a Platinum sponsor of the Asbestos Disease Awareness Association (ADAO) which is the largest independent asbestos victims’ organization in the United States. 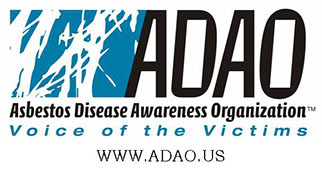 The ADAO was founded to give asbestos victims a voice and to raise public awareness about the dangers of asbestos, and to work towards a global asbestos ban. SGP also supports the Mesothelioma Applied Research Foundation (formerly MARF) which is an organization dedicated to finding a cure for mesothelioma and ending the suffering caused by it. This organization funds mesothelioma research and helps to provide support and education for families dealing with this horrible disease.